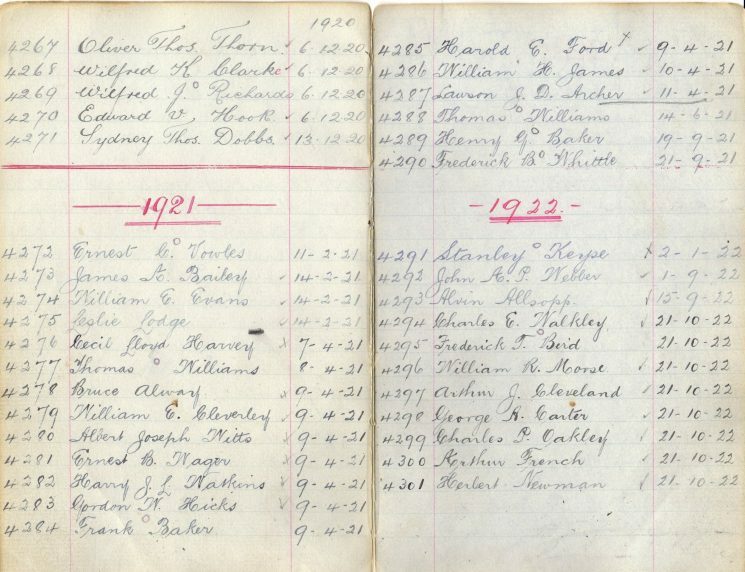 I joined the Gloucestershire Constabulary on 14th February 1921 Valentines Day with two others, Ted Evans (son of a Police Super) and Jim Bailey (the son of a farmer) at New Court, Lansdown Road Cheltenham. My age was 23 years. We were interviewed by the Chief Superintendent Mr Bigg. We then messed about for the remainder of the day. We slept in a large bedroom and that was our first day in the policeforce. Pay £3.10.0d. per week. dog and that was my first case in the Police Force. Back row left to right – A. T. Voyce; Police Constables Hayward; Morris; Hyam; Detective Constable Hart; Police Constables Grinnell; Creed; Lodge; Inspector Williams; A.W. Hopkins. Middle Row left to right Deputy Chief Constable A. W. Hopkins; Police Constables Willmott; S. Smith; Dobbs; Gladwell; Crowther; Morse; Hicks; C.E. Gardner, Mayor. 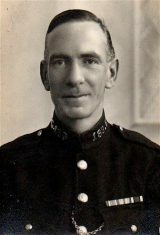 Front row Police Constables Greenslade; Hancock. I was engaged to. I had promised her I would marry her as soon as I had raised £100 and got the Chief Constable’s sanction. This page was added on 21/11/2018.